This all-new guide to english is designed to be user-friendly. Its innovative A-to-Z dictionary format lets you find the answers to your questions about grammar, punctuation, and preferred usage quickly and easily. Simply look up the problem areas as you would look up a word in the dictionary. It's just that simple and time-saving. A glossary of terms and plentiful cross-references offer even more help when you need it. Created by a leading expert in linguistics and lexicography. 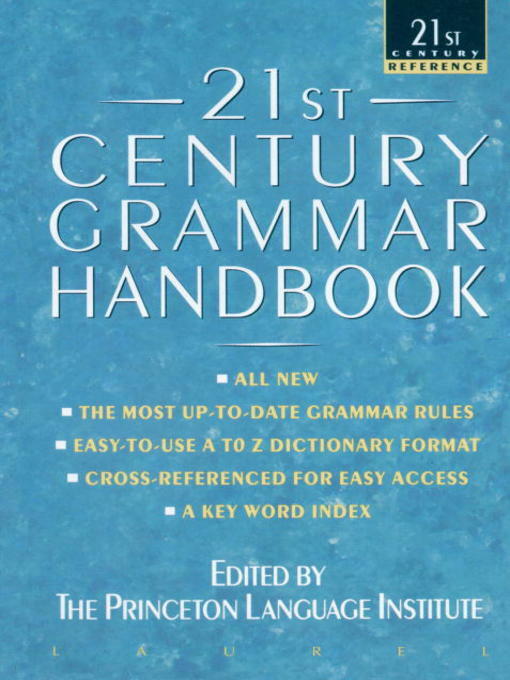 Covers all essential areas of grammar and style. A key word index for fast access.. Clear, plentiful examples. Up-to-date, modern, preferred academic and business usage. Portable for school, home, or office.